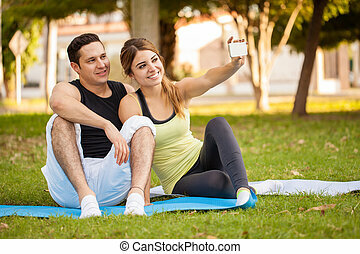 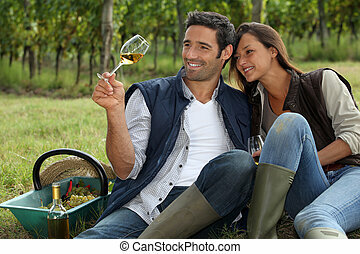 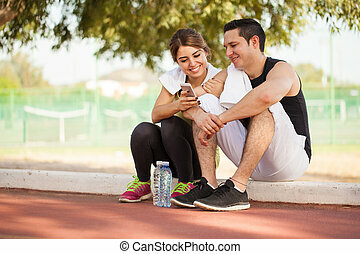 Couple taking a break from running. 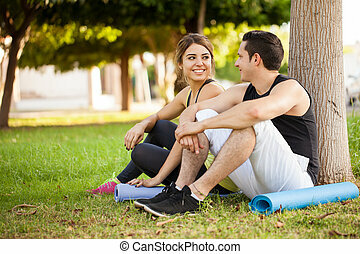 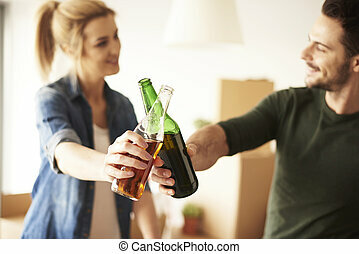 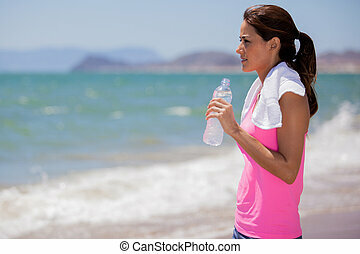 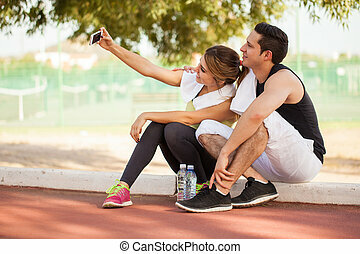 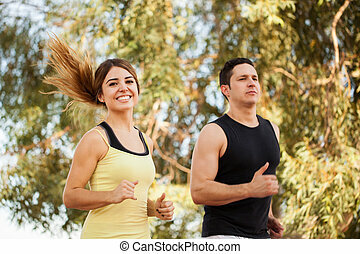 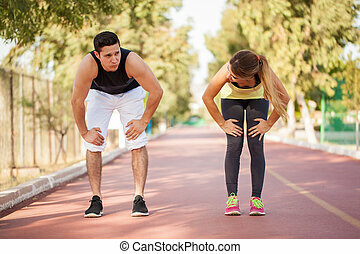 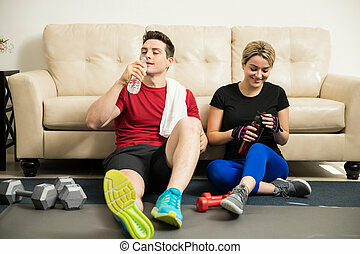 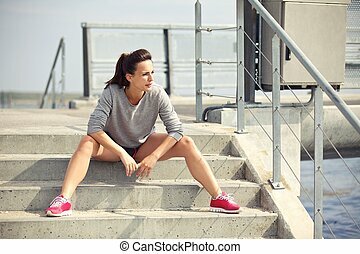 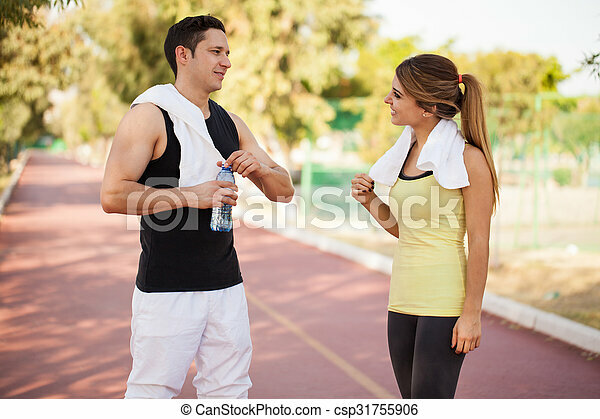 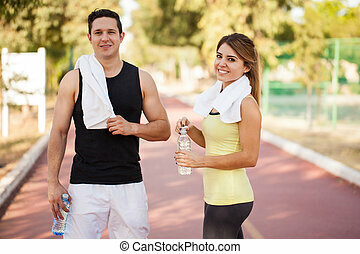 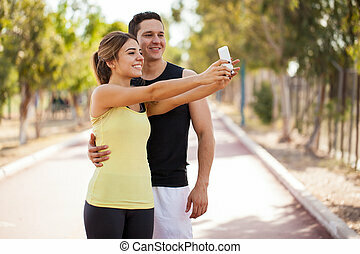 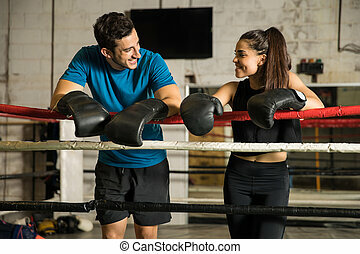 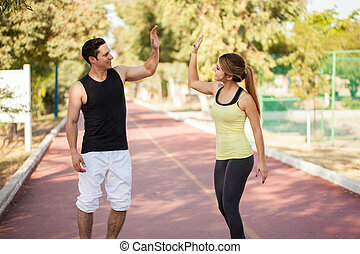 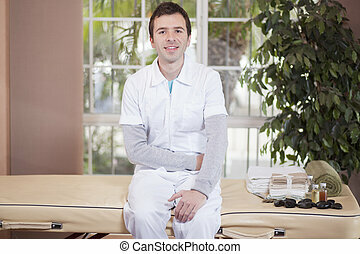 Young man talking and flirting with a girl while taking a water break from running and working out. 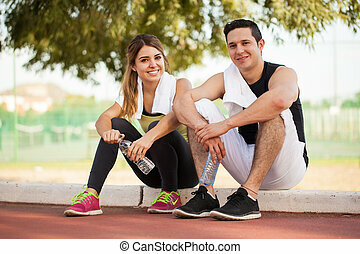 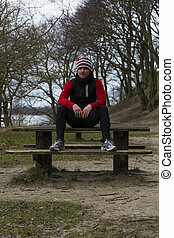 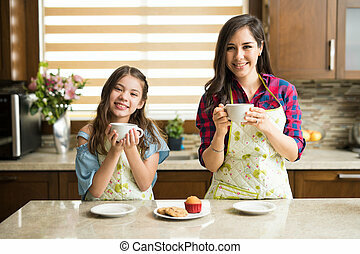 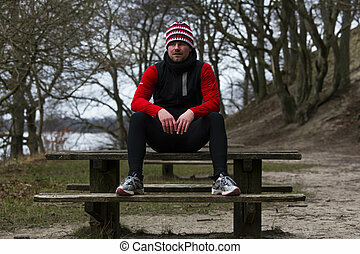 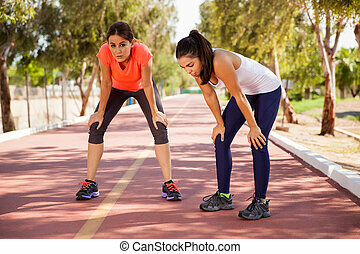 Outdoor shot of two young people taking a break after running training session. 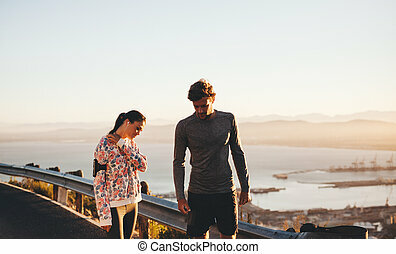 Man and woman standing by a railing on hillside road, relaxing after a jog.